Angelo Norelli’s house in Uptown was always cold. Too cold for his seven grandchildren to visit in the winter. Even with an extra heater running in his bedroom, he still had to use several blankets to sleep. And he didn’t know where the heat was escaping. Norelli, 67, didn’t have a lot of extra money or energy to figure it out either. He calls himself ‘semi-retired,’ but he works three jobs to supplement his Social Security income: he drives for Uber, serves as an usher at Penguins games and owns a small screenprinting business. So when one of his neighbors told him about a free program that could warm up his house and decrease his utility bills, he signed up. The Pittsburgh nonprofit Conservation Consultants spearheaded the program, called Grassroots Green Homes, in 2016 to help people like Norelli make their homes healthier and more energy efficient. They recruited more than 300 homeowners in Oakland and Uptown. By concentrating their efforts in just two neighborhoods, they hoped residents would share what they learned and catalyze a broader change. "The less energy we are using as a community, the less energy we need to generate." Over the year, the program provided participants with 12 free tools, such as energy-efficient light bulbs, and 12 tips, such as to close the drapes at night. And 20 of the homes like Norelli’s were selected to receive substantial additional help. 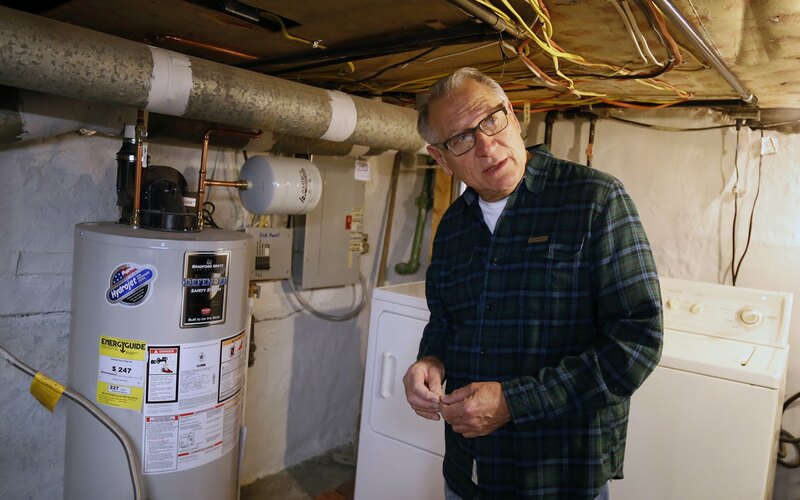 The nonprofit replaced his water heater and furnace with more energy-efficient options. They added a door to separate his bedroom from the attic and replaced a door to his basement where he had stuffed rags into the cracks. They blew insulation into his attic crawl space and replaced the rotten wood on his overhang. After more than a year, Norelli said, he now saves $28 a month on his gas bills, 22 percent less than before. He’s put his bedroom heater away and his grandchildren visit regularly for Sunday dinners. After more than 30 years, he finally feels warm in his own home. A 15 percent reduction in utility costs could make a huge difference in Pittsburgh, where the median house was built in 1912 and residents are responsible for paying the sixth-highest percentage of their income to utilities in the country, according to a study by the American Council for an Energy-Efficient Economy. Programs like Grassroots Green Homes could become increasingly important as the city tries to find new, economical ways to reduce its greenhouse gas emissions to fight climate change. About 80 percent of the city’s emissions come from buildings. The problems can be worse for low-income Pittsburghers, Zappa said. If they can’t afford to fix their gutters, water can drain into the basement and cause rotting and mold. Most of the energy efficiency work they do is in low-income homes. “We’re still only hitting the tip of the iceberg for what needs to be done because those homes have so many problems,” she said. The benefits aren’t only economic and environmental. 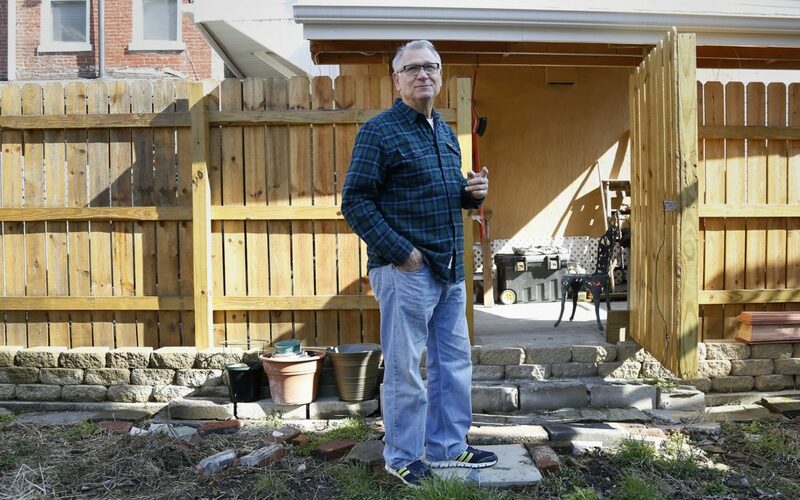 Residents in many of these homes disproportionately suffer from a variety of ailments, including asthma from mold, lead poisoning from old paint and cancer from high levels of radon. The tools and tips in the program are aimed at addressing these problems. For example, one of the tools provided to program participants measures the humidity; residents were then taught to maintain humidity between 50 and 60 percent to avoid mold. Because of Grassroots Green Homes’ initial success, the program was expanded to Central North Side in 2017 and is expanding to Homewood in May. Despite the growing success, they’re finding that one persistent challenge in administering the program is finding the hundreds of people to fill out a three-page form that takes about 10 minutes to complete. And they’re also hoping to get more consistent participation; many participants haven’t attended all six sessions offered over the course of the year, where they learn how to reduce their energy and pick up two free tools at each session. Their conclusion? The program needed more volunteers. Eva Resnick-Day, a Sierra Club organizer who advocates for 100 percent clean energy in Pittsburgh, recently found herself looking at mold inside a home in Homewood as she told the owner about the benefits of signing up for Grassroots Green Homes. This was not typical of the kind of work an organizer like her would have done even a decade ago. 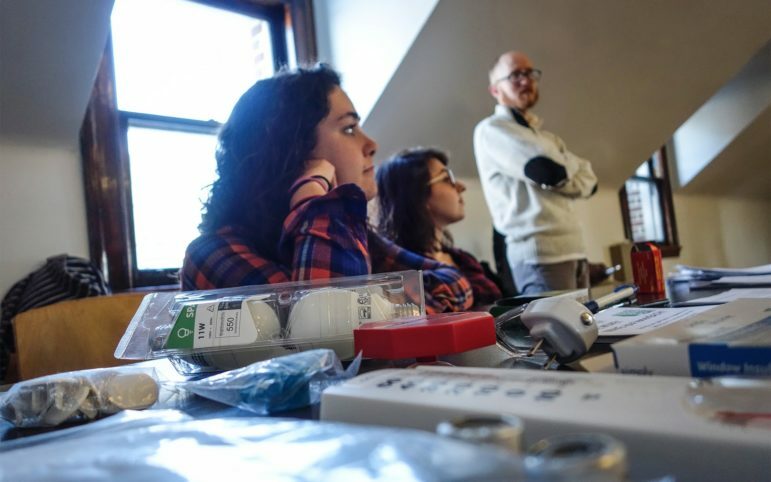 But Resnick-Day, along with many environmental activists in Pittsburgh and across the country, are taking a new approach to how they pursue a cleaner environment. Instead of pursuing strictly environmental goals, they now partner with local organizations and communities in the name of justice and equity. The Sierra Club committed itself in 2014 to a set of democratic principles like “let people speak for themselves” and “work together in solidarity and mutuality.” The principles were adopted in part to help traditionally white organizations, like the Sierra Club, better serve the needs of communities of color. Open your blinds/drapes to warm the house with sunlight during the day; close the drapes to insulate at night. Lower your hot water tank temperature setting to 120 degrees. Keep your fridge 2/3 full and set the temperature between 35 and 38 degrees. Use your air conditioning and vent fans to keep humidity between 50 and 60 percent. Keep air vents unblocked by furniture and drapes and close the vents in rooms you don’t regularly use. Run full loads of laundry and dishes and use cold water for laundry. But it’s not always obvious about how to go about pursuing these principles. So, at first, Resnick-Day didn’t think the local Sierra Club was right for leading an outreach effort in Homewood. “We had an incredible amount of hesitancy as a predominantly white organization walking into an almost entirely black community [with] the history of white nonprofits coming in for a short period of time, offering something and exploiting the community to fulfill a grant,” she said. But there wasn’t a lot of time to get people signed up for the program. And the need is great, she said. The average black resident in Pittsburgh pays more than 8 percent of their income to utilities. The only city where black residents pay more is Memphis. And one in every four black Pittsburghers pays 16 percent or more of their income to utilities. Resnick-Day also saw synergy between the Grassroots Green Homes program and the Sierra Club’s effort to push the city to use renewable energy. Mobilizing volunteers has traditionally been a Sierra Club strength. Resnick-Day has marshaled about 40 people over the course of six weeks to go door to door in Homewood and set up tables at community events. Their effort has been bolstered by the support of Operation Better Block, a well-known organization in the community that has made many residents more comfortable with the program. The first time volunteers tried to sign up residents at the community food bank at Pittsburgh Faison K-5, there was so much interest that the two volunteers couldn’t keep up. The volunteers approached residents as they waited in line to pick up their food. They soon found themselves chasing after the residents to get them to finish filling out their forms before they left with their food. One resident told Resnick-Day her utility bill was more than $400 the previous month. “Some of the people we met are on disability, so their response was, ‘Even if I save a few bucks a month, that would help me,’” said Kelsey Salerno, one of the Sierra Club volunteers. The next month, they returned with eight volunteers. They’ve signed up about 250 Homewood residents for the program but are hoping that by the time the program kicks off on May 12, they will reach their goal of 300 homes. The first Grassroots Green Homes event in Homewood will be from noon to 3 p.m. May 12 at the Community College of Allegheny County Homewood-Brushton Center, 701 N. Homewood Ave. For those who can’t make it, another event will be held 5 to 7 p.m. May 16 at the Homewood branch of the Carnegie Library of Pittsburgh, 7101 Hamilton Ave. The program will continue to take sign-ups at these events from Homewood residents. At the sessions, participants will receive training on the first two tools and tips. There will be five more events over the course of the year. For more information, visit http://www.getenergysmarter.org/community-projects.